Raw water pump provide the pressure to silica sand filter / active carbon filter . 2) We have professional R&D team and responsible sales woking in this line for years. 5) 1 year gurantee for the complete appliance and one set of spare parts for free ! First, the waste water flow into the agitator tank and be stirred. so that to achieve sewage purification and solid-liquid separation . We can send professional engineers to the working site for equipment installation, adjustment, and operation training. 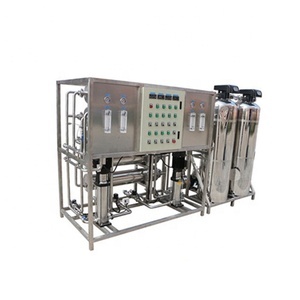 Industrial ro 100m3 per hour auto reverse osmosis water filter purification system Guangzhou Kaiyuan Water Treatment Equipment Co. 3. 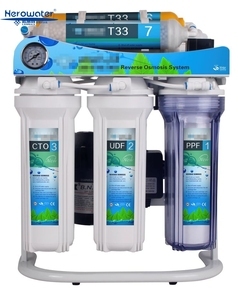 We will make a plan and quotation for the reverse osmosis system immediately as your requirements. 10. Arrange shipment or send the reverse osmosis system to your appointed warehouse. Ultraviolet water purification system Application: Sterilize and clean water with flow coverage 0.5GPM ~8.000 m 3 /h. It is used a stainless steel water chamber maximizing full use of the available ultra-violet energy, resulting in long exposure times and high UV doses and minimizing UV light absorption into the chamber wall. it could be used in: -Private households - Public place - Office building - Laboratory - Hotel - Small-sized swimming pool and garden pond Features: - Four series for option. we are committed to enable customers to buy the most cost-effective equipment, enjoy the best quality pre-sale and after-sale service. If you are interested in any of our products or would like to discuss a custom order, please contact us any time. We are looking forward to forming successful business relationships with new clients around the world in the near future. 2. Carbon filter--mainly used for chlorine removal and other organic gases, also to clear up the taste of water . Amanda will set up comprehensive international level water treatment company in the world as the goal. 4,Q:What is your sample policy9 A:Free samples will send for one part,you have to pay the freight cost; Sample againt cost and freight cost. 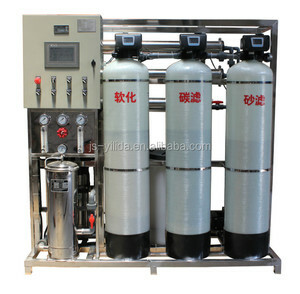 Alibaba.com offers 31,027 water purification system products. About 68% of these are water treatment, 14% are water filters, and 1% are paper chemicals. A wide variety of water purification system options are available to you, such as free samples, paid samples. 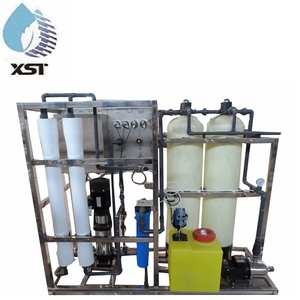 There are 30,693 water purification system suppliers, mainly located in Asia. The top supplying countries are China (Mainland), Taiwan, and India, which supply 97%, 1%, and 1% of water purification system respectively. 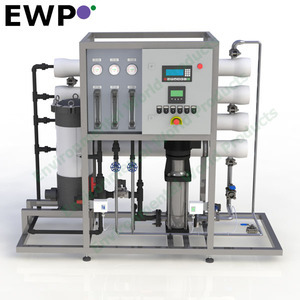 Water purification system products are most popular in Domestic Market, Africa, and North America. You can ensure product safety by selecting from certified suppliers, including 13,323 with ISO9001, 3,657 with Other, and 3,014 with ISO14001 certification.